Droid R2D2 will be coming soon to everyone this September 30th. The Droid R2D2 is basically a Droid 2 with custom Star Wars themes including the dock, which features additional small changes to the original Droid 2 dock. 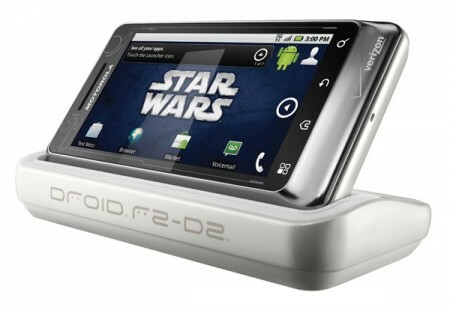 Europe’s Version of Droid 2 – Milestone 2 is Coming! For those of you who have been on the Motorola Milestone (Europe’s Droid) for awhile and itching your scalps to get your hands on the next version, your fear of not being able to upgrade to a QWERTY keyboard-equipped Milestone 2 is over as Motorola just announced today that it will be available sometime in the beginning of October. UPDATE: See step-by-step instructions on how to root Droid 2! Yippty yo, only after a little than a week after Droid 2 launched, devs have been able to figure out how to root the Droid 2. All the super-permission you want so you can get free wifi tethering, delete apps you don’t want permanently, and of course we should soon see some custom ROMs we can install. 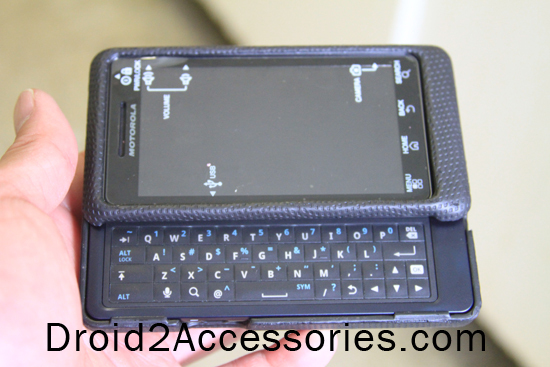 Droid Pro – Droid 2 World Roaming Version! 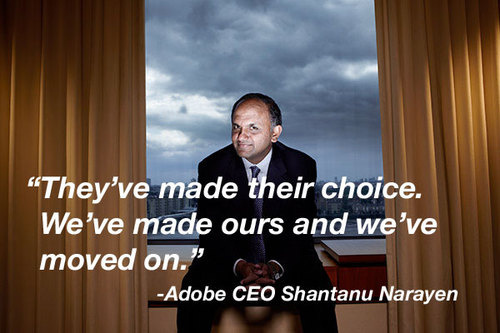 Adobe’s CEO Shantanu Narayen has made an official statement that Adobe is no longer married in fact divorced with Apple finally. 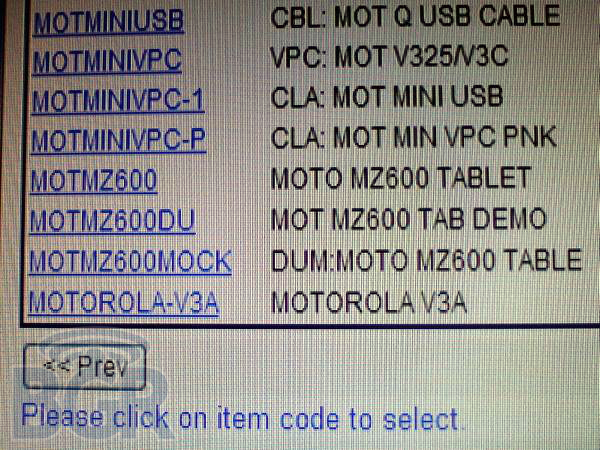 Verizon and Google were to be working on a new tablet earlier this year and we have some spy shots of actual Verizon inventory that shows Motorola will probably be launching the new Droid Pro, Droid 2 World Edition, and Droid MZ600 Android Tablet. We are not sure what the new Motorola Android Tablet will be called but we have a gut feeling that it’s going to be branded same as the Droid line, perhaps Droid Tablet? 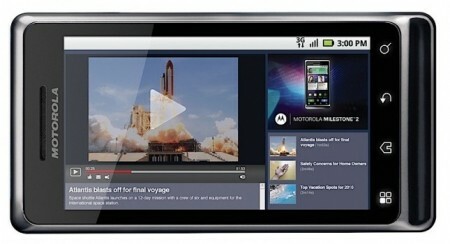 I’ve always enjoyed watching the new Droid X commercials by Verizon, they are almost like a movie! 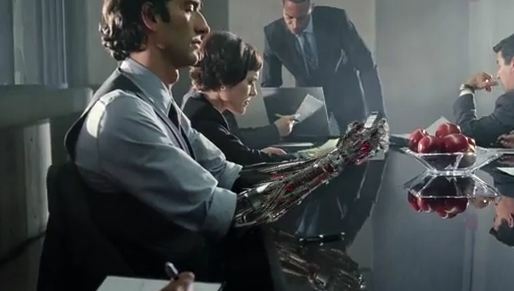 Anyways, here’s the first and latest Droid 2 commercial, just released by Verizon Wireless. 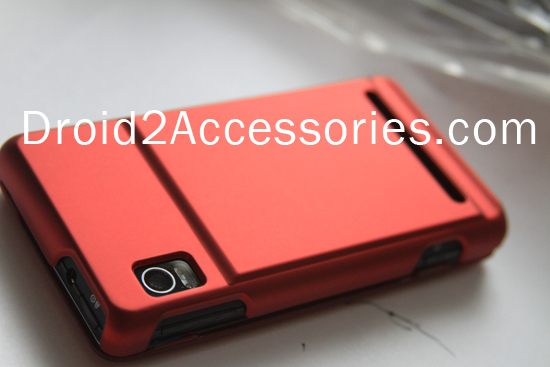 Finally, after a day the Droid 2 launches, Zagg has made their official Droid 2 screen protector available. 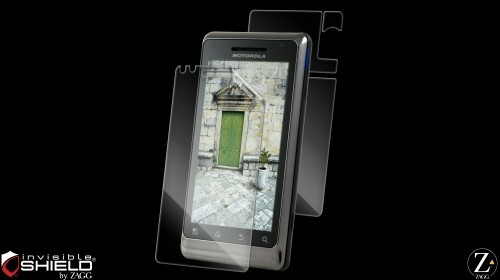 I was actually waiting for them to launch their Droid 2 Screen Protector because I need one bad for my new Droid 2. For those of you who don’t know Zagg, they make awesome Droid 2 screen protectors that will protect your phone from scratches and all that jazz plus they provide lifetime replacements for the lifetime of the phone.